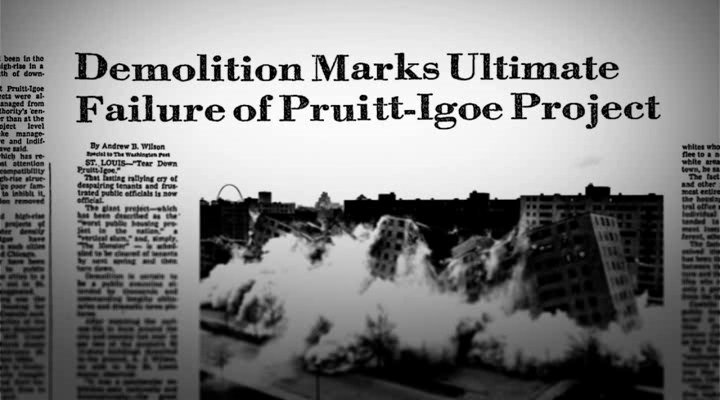 “The Pruitt-Igoe Myth” tells the story of a public housing project in St. Louis that opened in the mid-1950s, part of the postwar dream of replacing slum apartments with modern, affordable high-rises. 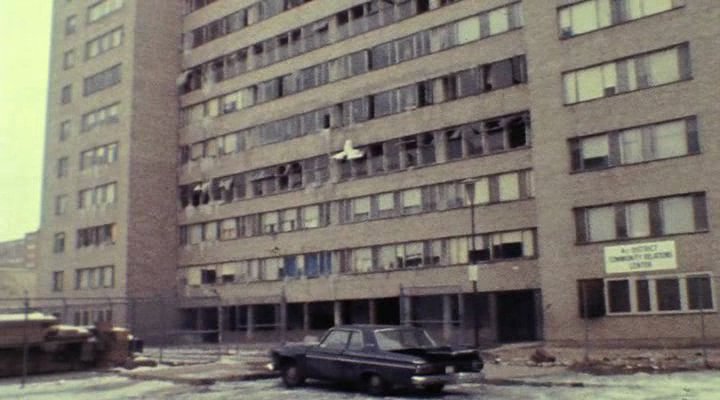 By the 1970s Pruitt-Igoe was in such disrepair that it was torn down, the demolition was televised, and a myth was born: public housing was a disaster, an example of government overreaching. The architect Charles Jencks even called the project’s demise the death of Modern architecture. 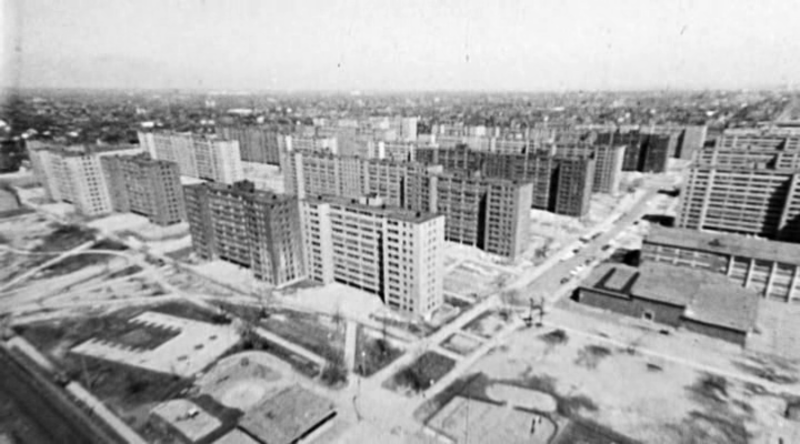 Focused and unfussy, “The Pruitt-Igoe Myth,” directed by Chad Freidrichs, is the documentary as essay, and it has a stated purpose: to unpack the myth. 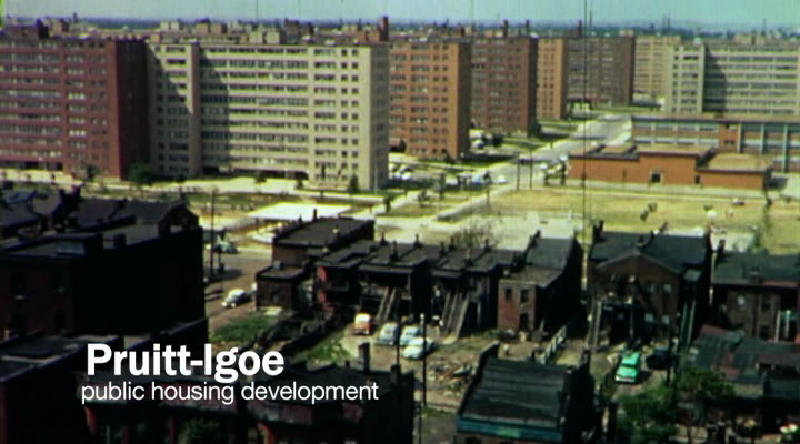 The film puts Pruitt-Igoe’s history in the broader context of American cities after World War II, as they lost jobs and population — especially white residents — with the growth of the suburbs. 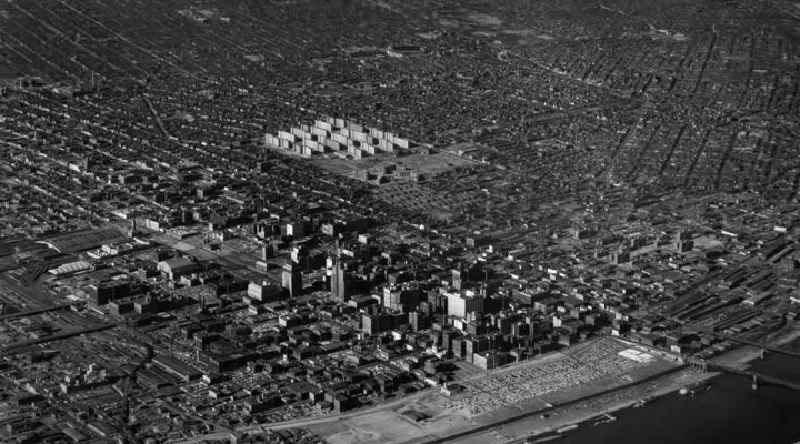 And it shows how projects like Pruitt-Igoe were built, then left to struggle in declining cities with shrinking tax bases. 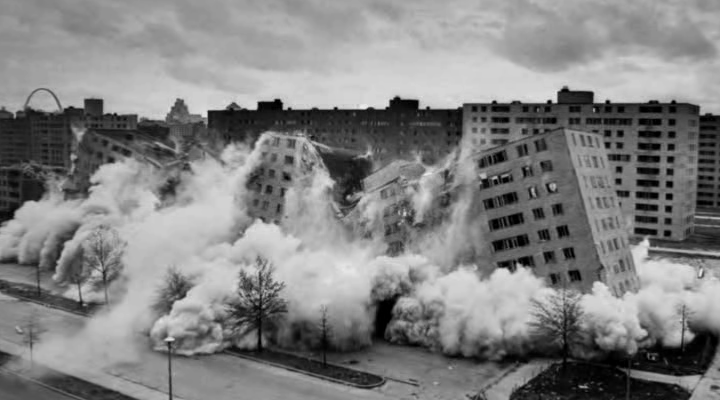 At Pruitt-Igoe maintenance was always a problem. Rent was meant to cover upkeep, but couldn’t, and rents rose even as living conditions became untenable, and vandalism and crime rampant. 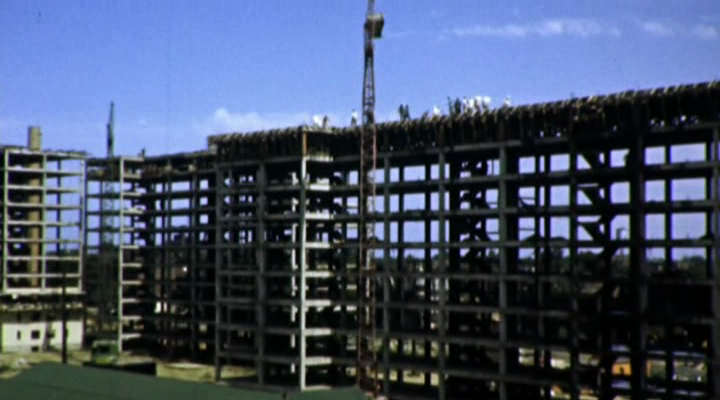 This history is too recent to seem dry, and the film gets an added emotional punch from interviews with former tenants, whose memories mix fondness with anger and loss. They talk about community, the thrill of being the first occupants of apartments with views (one woman calls hers a “poor man’s penthouse”) and of living in a place that quickly became a symbol of failure.